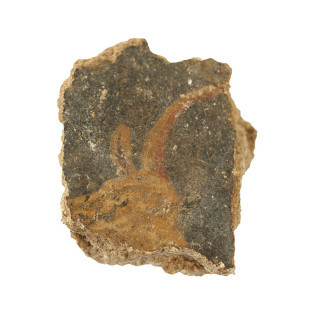 Jerusalem, August 10, 2016 — A team from the Hebrew University of Jerusalem has discovered hundreds of fragments belonging to frescoes from the Roman period, in the Zippori National Park. 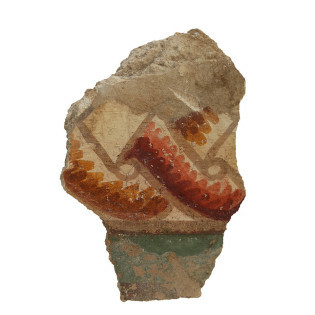 The fragments, which contain figurative images, floral patterns and geometric motifs, shed light on Zippori (Sepphoris), which was an important urban center for the Jews of the Galilee during the Roman and Byzantine periods. Most of the archaeological work conducted in Zippori since 1990 was led by the Institute of Archaeology at the Hebrew University in Jerusalem. This team worked both on the Upper Hill as well as in an area to the east. The Hebrew University team revealed a well-planned city built around an impressive network of streets. Various buildings, public as well as private, were built in the city which existed throughout the Byzantine period. Among the public buildings uncovered are a Roman temple, bath houses, a theatre, two churches, and a synagogue. Over 60 mosaics dating from the 3rd to 5th centuries CE have been uncovered to date in Zippori, in both public and private buildings. The mosaics include numerous rich and varied iconographic depictions, ranking the city among the most important mosaic centers of the Roman and Byzantine east. The assortment of finds that have come to light in the course of the excavations provides a wealth of information about this multifaceted urban center, allowing one to draw significant conclusions about this Hellenized city’s demographic composition, architectural development, and everyday life, as well as the cultural relationships between the various communities residing in Zippori during the first centuries of the Common Era. The Institute of archaeology, the birthplace of Israeli archaeology, is a research and teaching unit within the Hebrew University’s Faculty of Humanities. Academic programs include studies for B.A., M.A. and Ph.D. degrees in prehistoric, biblical, and classical archaeology, Civilizations of the Ancient Near East, and Computerized Archaeology. In addition to its role as a teaching and training institution, the Institute is involved in major archaeological endeavors and interdisciplinary research programs. 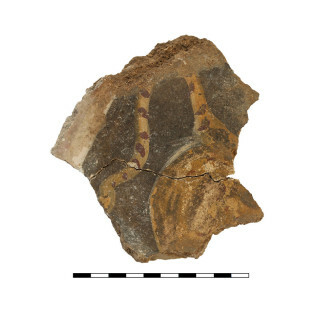 Its excavations at major prehistoric and historic sites have shaped many of the current paradigms in Israeli archaeology and contributed to a better understanding of past human behavior. For more information, visit http://archaeology.huji.ac.il.